Some months back we were approached by a client, he required someone to do his blogging. The client was posting regularly and the articles were of good quality and very interesting to his target audience… yet his visitors were not improving with his blog posts and he was left scratching his head to why this might be. We reviewed the blog content and his blogging campaign and we noticed that although he was posting high quality content, it was being posted as and when he had time to write blog content. This was sometimes 1-3 times a week, sometimes 1-3 times a month and this was affecting his visits. We spoke about the sort of blog content the client required and we spoke about the date and time he would like to put the content live. The client chose Friday at 12noon and from then on we emailed the blog posts to him to approve and put live for Friday at 12noon. The image above shows what happened with the traffic to his website after doing this just a few times in a row. This was the only thing that the client changed to his website, blogging and social media campaign. Of course, he also changed his blog writers but we won’t take full praise for that! The campaign has continued from there. We wrote the weekly blog content for him that went live at 12noon every Friday and he added his own blog content every now and again when he had time or a blogging idea came to him. Since this time his traffic has continued to steadily improve. 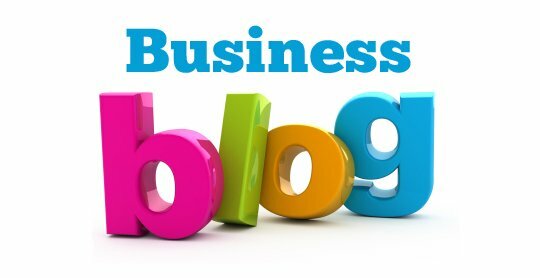 The client now has an active following on his blog, which is regularly updated and his business is continuing to do very well. Have you considered posting content on your website at the same times / dates?